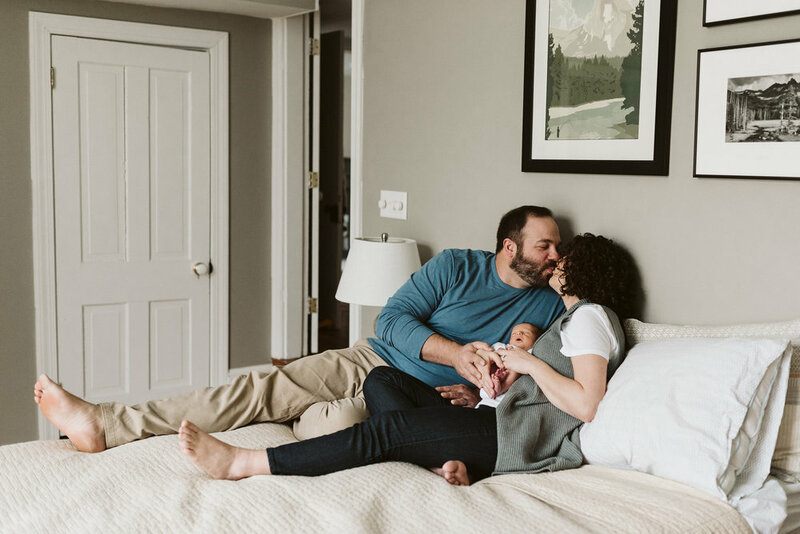 Nothing quite compares to in-home newborn photography, and it's always such a calming treat in between documenting the hustle and bustle of weddings. Adrienne and Greg actually hired me to photograph their wedding several years ago, and when I learned about little Finn, I could hardly contain myself!! It was so fun catching up and seeing them in their new roles as mom and dad. It was a rainy morning, so we moved a big comfortable chair near the brightest window and fawned over the baby. 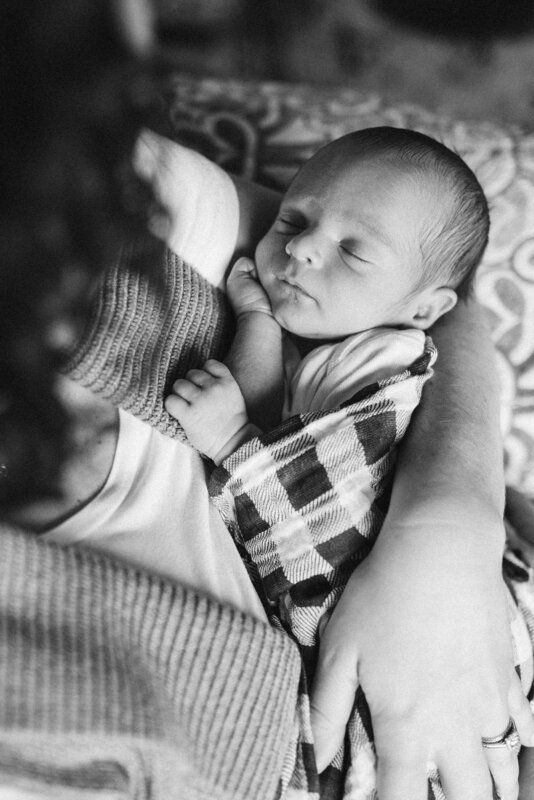 His perfect little fingers, toes, peach fuzz, button nose... newborn babies are just pure magic! 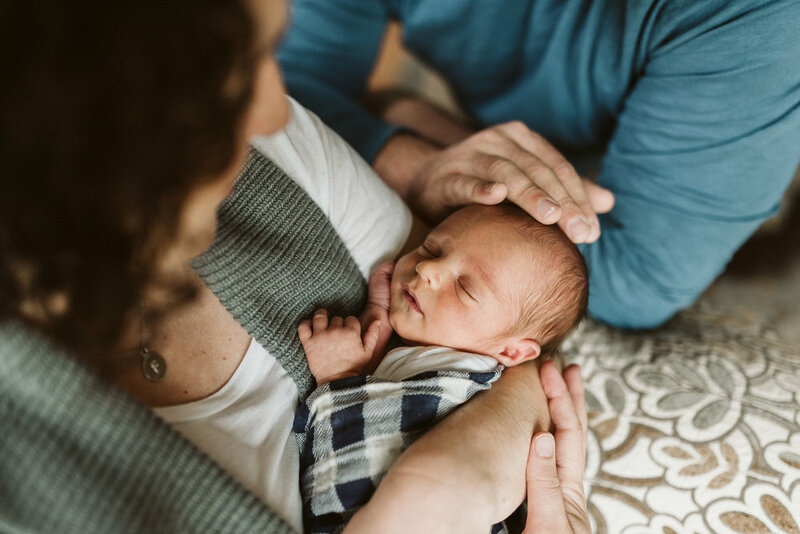 Little Finlay wanted nothing to do with not being held, so Adrienne and Greg took turns cradling him. Sometimes it's nice to take photos of baby solo, but I'm never going to advocate for forcing a baby into that position. If they need to be held, they need to be held! 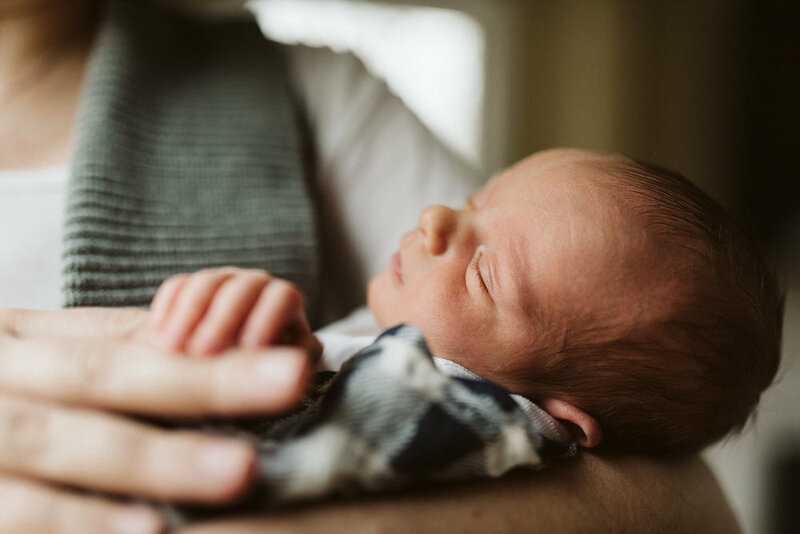 Looking back on your newborn photos, I imagine that's the exact feeling you'll be hoping to summon anyway- what it was like having your tiny curled up baby on your chest. The way their little head smelled sweet and milky, their fingers curled around yours, their wrinkly newborn legs, and itty bitty fingernails, and dreamtime puckering lips. Hire McKenzie to document your story!